Meet The Shannons: Herbivore Meets The Shannons Contest! Italian wedding soup for sure!! This is one of my favorite soups!! YUM! Almond Biscotti gets my vote. Italian Wedding Soup. I'm most interested in seeing how you veganized this, as the other recipes are more easily imagined. Almond Biscotti gets mine as well. Hard choice - everything looks so tempting. o.k. : Tofurky sausage and peppers! Italian wedding soup! It's something I've been missing as a vegan. I love Italian Wedding Soup but havent had it since I became vegetarian so I would LOVE a recipe for that!! I vote for the Pesto with bowtie pasta and vegetables. Although, everything looks sooo good. I have a weakness for vegan cupcakes, but the picture of the pesto really sold me. I also vote for the Italian Wedding Soup. I'd never heard of it, but the picture looks so delicious and the name conjures up the romance and joy of beginning a life together. My vote is for "Pesto with Bowtie Pasta & Vegetables"!! Looks gawjus. GNOCCHI!! But if Italian Wedding Soup wins, I won't be sad! The Italian Wedding Soup sounds amazing! That totally gets my vote. 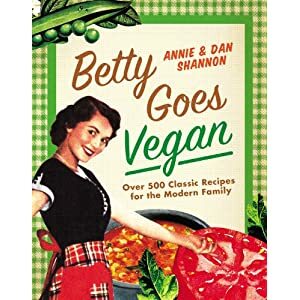 All of the recipes sound and look delicious, but I am definitely most interested in learning about the vegan version of Italian Wedding Soup! Chocolate mint cupcakes all the way! Coconut vanilla cupcakes. 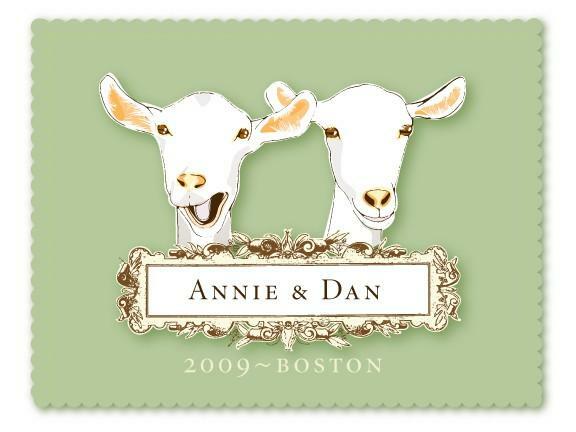 I feel extremely honored to say that I actually tasted these on the blessed day (Congrats on your anniversary, Annie & Dan!) and I admit that I stole about 3 of them for the ride home after I had one at the reception. I would LOVE LOVE LOVE to have this recipe! All of the food was amazing but the cupcakes were definitely my favorite! I vote for the gnocchi! I have two votes. One is the Italian Wedding Soup and the second is the gnocchi. They both have a personal meaning to me. I am Italian and my whole life my Mom and Grandma have made food from scratch. When I became a veggie 16 years ago, I was left out of a lot of the good food. Becoming a vegan has made it even harder to enjoy the Italian classics. I have redone several time tested recipes, but I have not been able to master the vegan version of gnocchi or Italian wedding soup (which are both a staple at like EVERY holiday event). hanks for the fun contest! The Italian Wedding Soup feels like a benediction for your lives, which in only a year have this fabuloso website and amazing Betty Crocker Challenge. The little Star Wars figures as well are endearing. I'm a half-Jewish Christian. The soup LOOKS delicious. Oye. Heavenly. Happy Anniversary! Ooooh, I vote for the gnocchi! Oh Italian Wedding soup, definitely! I'm Italian, too, and would love to finally try this damn soup! Coconut vanilla cupcakes, my massive sweet tooth is making me insist. One more vote for the Italian Wedding Soup! No doubt the choc mint cupcakes. I have two little vegans at home who are three and six. It is a challenge for me to come up with "cool" things for dessert. They always want the things there friends have like cupcakes from the grocery store....yuck. I know they will "get it" one day, but for now I want them to enjoy being little. This would be a perfect treat and surprise! I'd love to see the bow tie with vegan pesto and begetables. Pesto is such a joy and I'm always on the lookout for a good vegan recipe, since I no longer eat cheese. I don't think I'd actually get around to making the gnocchi or the biscotti, but I'd use the pesto recipe right away. Hmmm no one's picked the Fig and Apple Summer Salad, and, although they all sound awesome - figs rock! Yummy. That's my vote. Happy Anniversary!!!! Italian Wedding Soup! It is my absolute favorite (but the gnocchi would be good too)! So, I vote for that!! I want them all, but I'd love to know how to make gnocchi, so gnocchi + marinara gets my vote! Gnocchi with marinara ... simple, classic, hardly needs to be "veganized" if at all ! Pesto w/bowtie pasta & vegetables, although I'd love to see the recipes for any/all of these yummy dishes! Happy (almost) one year anniversary! Gnocchi with Marinara. I'm obsessed with these tender little dumplings. Italian Wedding soup! Happy Anniversary! Italian Wedding soup, please! I'd love a veganized recipe for this. Oh, and happy anniversary! Gnocchi with marinara for sure! Happy Anniversary! Keep the delicious recipes comin'. Hmmm ... I want to see the Gnocchi with marinara ... that is the one I might be able to get my husband to eat ... and also Italian Wedding Soup. He'd know I veganized it, but I might get him to try it! Happy Anniversary! Would love to know the recipe for the almond biscotti, looked delicious! Once I saw the word "fig," I couldn't get any further. Fig & Apple Salad please! Tofurkey sausage and peppers...must know how to make this! YUM!!! Gnocchi! Looks fabulous. Happy Anniversary! Pesto with Bowtie Pasta & Vegetables, please! Happy Anniversary! italian wedding soup, for sure! Italian Wedding soup! I am Italian and my family recipes can be ... a bit hard to convert. I would love to know what you replaced and veganized to make it taste the same! I'm gonna be a loner and weirdo and say the Fig and Apple salad, mainly because the colours and way it was displayed really looked wonderful. To me it is the best out of all the photos. Please tell me that you guys didn't make your whole wedding meal? That would be a first! Enjoy your next year together!! Since I'm eating gluten-free now, Fig and Apple Summer Salad is the recipe I'd most like to see. Gnocchi with Marinara for sure! I'd love the Italian Wedding Soup recipe! Looks delicious! right before I became vegan, I discovered The Olive Garden's Chicken Gnocci Soup. It stole my heart, so a veganized Gnocci Variation has really caught my attention!!! Gnocci please. i wouldnt mind winning, but i would gladly not win for the chance at eating gnocci again. its been too long! My recollection is that the Pesto with Bowtie Pasta & Vegetables was my favorite. So I'll vote for that. Chocolate mint cupcakes, yes yes!!! I'd love to see the Italian wedding soup recipe. Italian wedding soup takes the day!